Made from the essential oil of the purest Damascus Rose from the Bulgaria Mountain. 4000kg of fresh rose petals are needed. SHILLS is a Taiwanese well-known skincare and cosmetic brand which have been introduced in a well-known Taiwanese beauty show - 'Ladies First' 女人我最大. 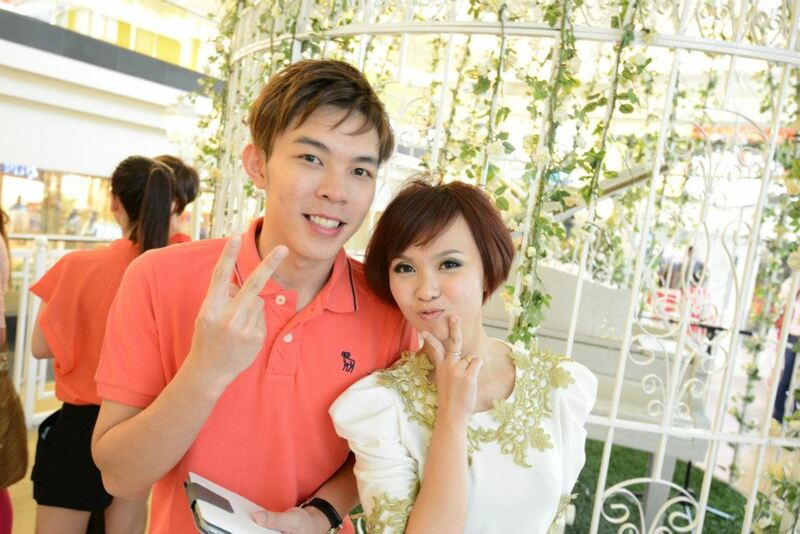 They are really popular among Asians and especially Malaysians. Shills, Anosa and Dot Dot are a joined company. 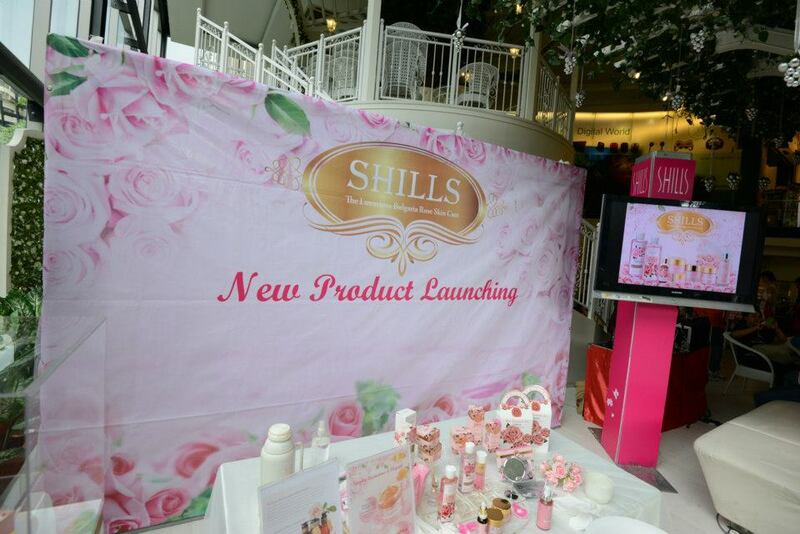 Their products are also available at SaSa, Shins and many other beauty stores in Malaysia. This is my first SHILLS event and I'm pretty excited about it. 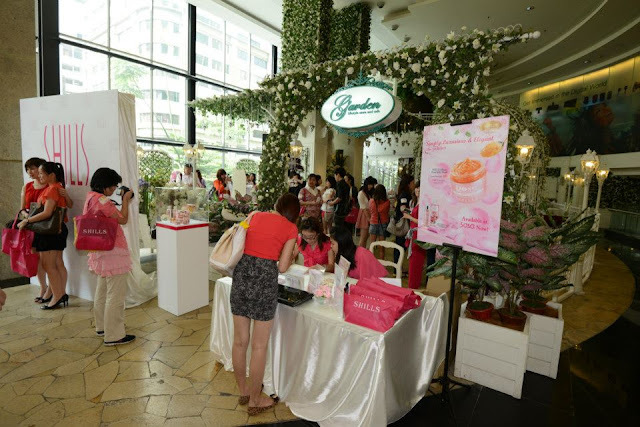 The dress code was pink and white to suit with the pink and rosy theme for this event. 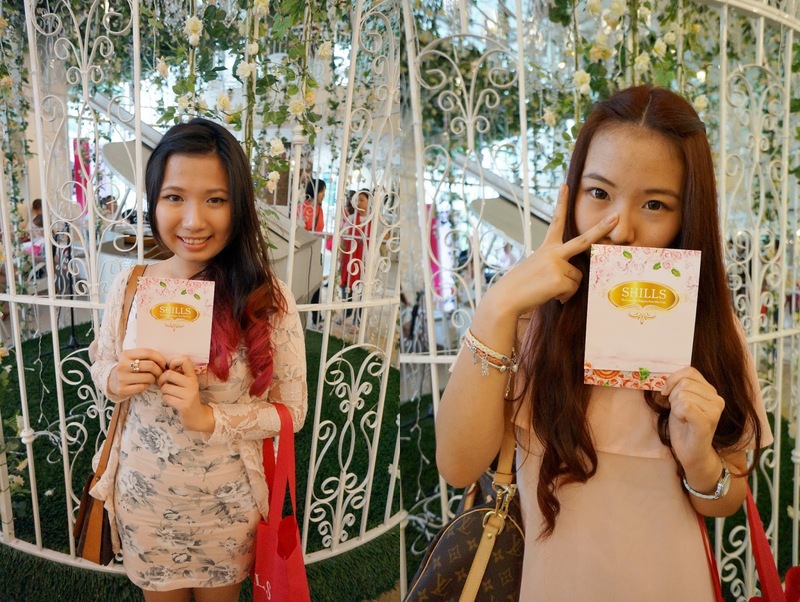 The venue of this event is in the Gardens cafe which gave a more dreamy and princess feel to it! 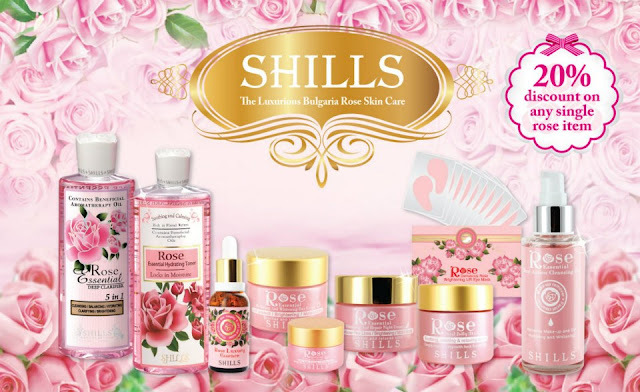 SHILLS have just launched a new range of products which is the The Luxurious Bulgaria Rose Skin Care, they consist of 9 new products! Price range from RM59 to RM118! Using the purest rose , SHILLS strive to bring the au naturel Damascus Rose formula in their new range that will restore your youthful beauty! The products have an exceptional quality and distinctive natural floral, aromatic scent which help to calm your skin, even makes you feels romantic. After a tiring day, it's good to pamper yourself with roses as a treat for all the hard work. The smell is not that strong because they don't add any artificial scent to the products. One of SHILLS' staff demonstrating the toner on blogger - Grace. There are other staff who came over with the products for us to try in on our own skin. They were very attentive to us, a thumbs up for SHILLS' s good customer service. Texture not too thick and sticky, I like it! One of my favourite from this range, made from natural fresh organic rose petals. Can be use as sleeping mask ! It's clear but you can see a brownish thing which is the fresh rose petals. This mask can be use as a normal mask or sleeping mask. It's so natural that you can literally spread it on your bread and eat it! Perfect for monsters who do not like to sleep at night, this can ease away eye puffiness and dark circles. SHILLS prepared a buffet-style high tea for the us after all the demonstration. The food was great and I enjoy little chats with some new friends I met in the event. Poloraids for event of the day. Thanks to SHILLS for the lovely event, and I finally met a few bloggers I've been wanting to meet. I can't wait to try out the new goodies SHILLS prepared for us! Goodies for my lovelies! If you're interested in these products you can enjoy a 20% discount on any single product from the new Bulgaria Rose range! You can purchase them online at http://www.queenstarshop.com/69-zhazhi or any SHILLS concept store. Note: I'm giving away freebies from SHILLS, stay tuned to find out how you can stand a chance to win it!